The world’s first subterranean railway, the London Underground opened in 1863 and now provides three million rides daily. In 1908, Underground executive Frank Pick began seeking out the country’s best artists and designers to produce advertising posters for the expanding transit system. Pick recognized the potential of this new graphic medium, born just a decade earlier but already transforming the urban space, and the Underground became an important patron of the arts and an acknowledged leader in the field of poster publicity. 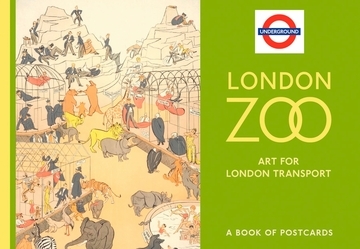 For a century, copies of every poster produced for the Underground and its affiliates were kept, and when the collection was transferred to London Transport Museum in the 1980s, it contained more than five thousand printed posters and almost one thousand original artworks. Steadily growing since then, the collection offers a uniquely comprehensive overview of a century of British graphic design. 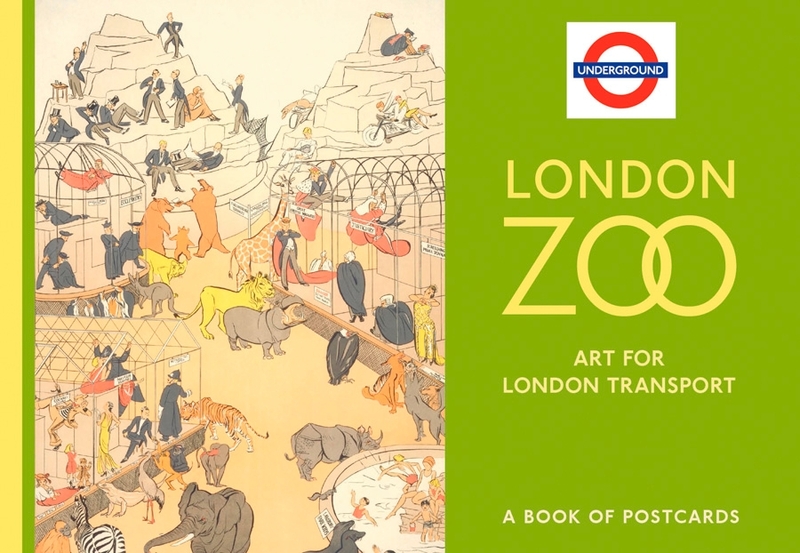 This book of postcards reproduces thirty Underground posters advertising travel to London Zoo—one of the city’s favorite public-transport destinations.